A 3-year-old girl accidentally shot her pregnant mother from the backseat of car Tuesday after the woman's boyfriend allegedly left the loaded gun there, according to police in northwest Indiana. 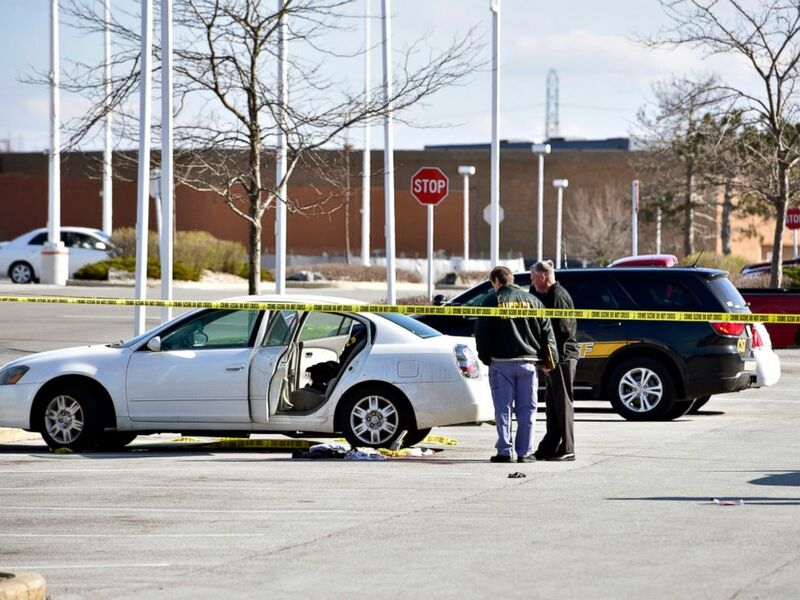 The shooting happened Tuesday afternoon in Merrillville when the boyfriend walked into a store and left the loaded gun in the car between the console and the seat, Merrillville police chief Joseph Petruch told ABC News. The gun owner's pregnant girlfriend, whom police did not name, sat in the driver's seat in the parking lot with her children, ages 3 and 1, in the backseat, Petruch said. The 3-year-old girl got hold of the 9mm Glock 19 pistol while she was in the back, and the weapon discharged, hitting her mother in the chest, Petruch said. 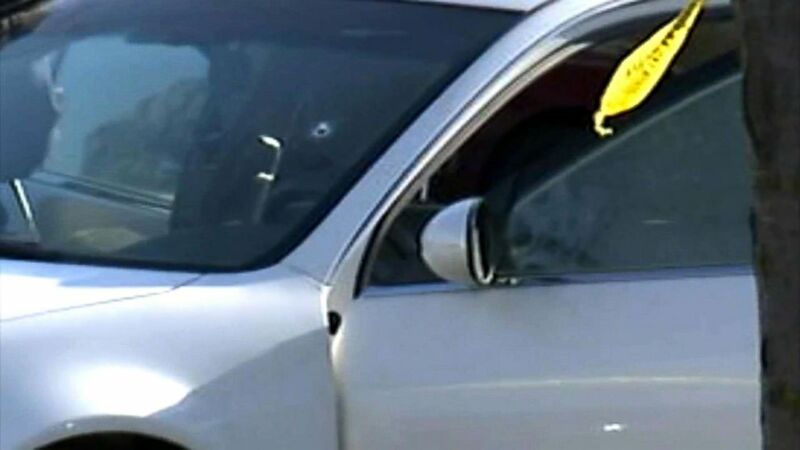 The bullet then went through the windshield, Petruch said, and the woman got out of the car and collapsed. A woman was accidentally shot by her 3-year-old daughter in Indiana, April 17, 2018. Meanwhile, her 21-year-old boyfriend was in the store, Petruch said, and the "next thing he knows somebody comes running in said, 'Your wife or girlfriend has just been shot.'" "The first thought was to get the kids out of there," said Rebecca Todd, an employee at the store, according to ABC station WLS in Chicago. "We grabbed them. We brought them inside, and we just tried comforting them as best we could." 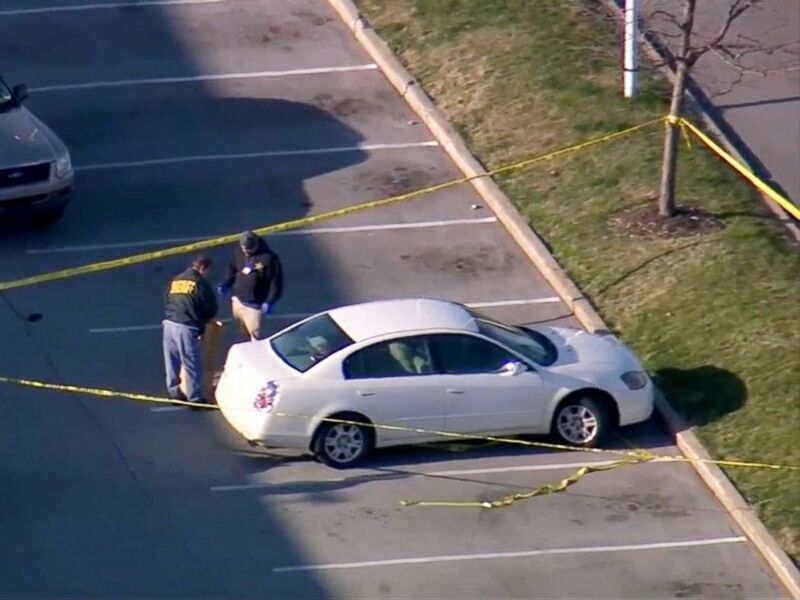 Police work the scene where a 3-year-old girl accidentally shot and wounded her pregnant mother in a car parked outside a northwestern Indiana thrift store, April 18, 2017. The children -- who were OK -- were turned over to child protective services, Petruch said. The victim was hospitalized and her condition was not immediately clear. The boyfriend, Menzo Brazier, was taken to Lake County jail where he was held on child endangerment charges, Petruch said. Police said the expect to meet with the prosecutor's office Thursday to determine additional charges. The prosecutor's office did not immediately respond to ABC News' request for comment. Petruch called the shooting a "careless, dangerous act," adding that Brazier is "directly responsible for this." "When you take on a responsibility of gun ownership, you have to be a responsible adult," he said. "Especially you don't leave a loaded gun around when children are present."